Toothache! The mere word can send chills down the spine. It is caused when pulp, the central portion of the tooth becomes inflamed. The tooth pulp is soft and spongy and contains several sensitive nerves and blood vessels. The pain can vary from mild soreness to unbearable pain in the teeth and around the jaws. In fact, it can be felt in every part of the body. In extreme cases, a toothache can even impede the ability to talk, sleep and eat. Severe pain should be reported to the doctor. However, it the pain is mild then you can try some natural remedies to get relief. 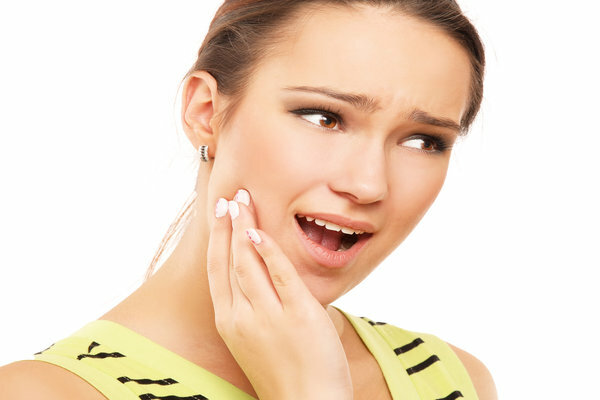 Here are some simple remedies to treat toothache at home. Apply the below mentioned remedies directly on the tooth or the surrounding area, unless directed otherwise. A mixture of salt and pepper is excellent for people suffering from extremely sensitive tooth and gums. Mix equal amounts of pepper and salt and add some water to form a smooth paste. Apply the paste on the affected tooth and let it sit for a few minutes. Do this daily for several days for best results. Garlic can provide an instant relief from toothache. It contains antibacterial properties that slow down the bacterial effects, providing relief from toothache. Crush a single clove of garlic and mix it with black salt or table salt. Apply the mixture on the affected area. You can also chew a clove of garlic to get relief. Repeat this treatment until the pain subsides. Garlic not only eases pain, but also strengthens the teeth. Clove has been long used as a home remedy for toothache. The anti-inflammatory, antibacterial and anesthetic properties fight the infection, alleviating tooth pain. Grind cloves and add a little olive oil to it. Apply it on the tooth and leave it overnight. Alternatively, dip a cotton ball in clove oil and apply it on the sore tooth. Clove oil contains natural analgesic and anesthetic properties, which can help ease the pain. The oil may sting at first, but will subside after a while. Do not go overboard with clove oil, as it is toxic in nature. You can also use clove oil and water solution as a mouth rinse to treat toothache. Chewing on cloves can also help. Onion is one of the best natural ingredients for toothache. It possesses antiseptic and antimicrobial properties that can control toothache. It works on the pain by killing the germs that cause infection. Chew a slice of raw onion to get relief from the pain. The onions need to be freshly cut so that it can release the juice. Asafetida is very useful for treating toothache and bleeding gums. Mix a pinch of asafetida powder with lemon juice and heat it slightly. Apply this solution on the affected area with a cotton ball for a quick relief. Asafetida fried in clarified butter can help treat toothache caused due to cavities. A glass of warm water gargle can help treat toothache caused due to gum infection. Mix half spoon of salt in a glass of hot water and rinse your mouth with it. Make sure the water splashes around the affected area. The warm water solution will extract fluid from the tissue, reducing swelling of the nerves. The solution will also act as a mouthwash to kill the bacteria that cause infection. Repeat this several times until the pain subsides. Chewing on tender guava leaves can also treat toothache. The juice secreted by the leaves will reduce the swelling if the gums. Boil 4 to 5 leaves of guava leaves in water and leave it aside to cool. Add some salt to the concoction and use it as a mouth wash.
Wheatgrass possesses antibacterial properties that fight the tooth decay, treating the pain. Extract the juice of wheatgrass and use it as a mouth wash. The gum will absorb the juice, reducing the growth of bacteria. You can also chew on the wheatgrass if the toothache is not very severe. Ice cube numbs the nerves and gums, alleviating toothache. Put a small ice cube in a plastic bag and place it on the aching tooth for a few minutes. Alternatively, you can place the ice directly on the tooth also, but be careful with it. Ice can cause extreme pain on the exposed nerves. Tea tree has been hailed as one of the potent ingredients for toothache relief. Add 2 drops of tea tree oil on a cotton swab and place it on the affected tooth. Alternatively, add a few drops of tea tree oil to a small glass of warm water and rinse your mouth with it. Take a cotton swab and moisten it with water. Dip the swab in the baking soda and then apply it on the tooth. To make baking soda rinse, mix a teaspoon of baking soda in half-cup warm water. Stir well and use it as a mouth rinse after brushing the teeth. Applying hydrogen peroxide on the affected area can help chase the pain away. It helps to kill the bacteria and relieve some discomfort. Dip a cotton swab in hydrogen peroxide and apply it on the affected area. A hydrogen peroxide solution is only for rinsing. Do not swallow the it. Rubbing an ice cube between your index finger and thumb can also reduce toothache. Ice creates cold signals that interfere with the pain signals. Rub the ice cube gently over the L14 pressure point for five to seven minutes. Rub the ice of the hand that is on the same side as the toothache. Take powdered ginger and cayenne pepper and add a few drops of water to it to make a paste. Roll a cotton swab to this paste and place it on the painful tooth. This treatment will irritate and sting the gum, so do or fret or panic. It will surely relieve tooth pain. Myrrh tincture is excellent for treating toothache. The astringent effects of this herb treat the inflammation, while killing the mouth bacteria. Simmer a teaspoon of myrrh powder in 2 cups of water for 20 minutes. Strain and leave it aside to cool. Rinse with the solution five to six times a day for relief from toothache. Peppermint also contains analgesic and anti-inflammatory properties that can help numb the tooth pain. Add 1 teaspoon of dried peppermint leaves in a cup of water and simmer on low flame for 20 minutes. Leave it aside for a few minutes to cool and then rinse your mouth with it. You can spit or swallow it, any way you want. Chewing on peppermint leaves can also help you get rid of the pain. Take a 2-inch of neem bark and 5 to 6 cloves. Boil in one cup of water for 20 minutes. Strain the liquid and store in a bottle. Smear this decoction on the affected tooth for some relief from discomfort. Honey mixed with cinnamon is a great natural remedy for treating toothache. Take 5 teaspoon of honey and mix 1 teaspoon of cinnamon to make a paste. Apply this paste directly on the affected tooth. Non-steroidal anti-inflammatory drugs (NSAIDs) can provide quick and effective relief from minor toothaches. It is difficult to treat the tooth it you are in pain. So taking some relief from over the counter medicine can help. Tylenol and ibuprofen are good medications for toothache. Use the recommended dosage as prescribed by the doctor. Clean the mouth thoroughly. Toothaches are usually caused when small pieces of food are stuck in the tooth, exacerbating the pain of cavities and gingivitis. A thorough cleaning will go a long way in eliminating the pain. Brush and floss your teeth twice daily. Make sure the floss goes up to the gums to dislodge the stuck food particles. Follow it with a mouth rinse to clean the bacteria and flush out the dislodged particles. Do not place an aspirin against the sore tooth as aspirin is an acetylsalicylic acid, which can cause corrosion of the teeth, thereby burning the gums. Watch out for what you eat and drink. Avoid chewing anything in the area where you have pain or tooth damage. People with sensitive teeth should avoid using anything hot or cold. Avoid ice cream, hard candy and popcorn until the ache subsides. Consult a dentist immediately if you do not get any relief from the above-mentioned home remedies or if the ache lasts longer than a couple of days do. Toothache accompanied by fever, swelling of the face, red gums, breathing problems and discharge from the gums require medication, not home treatments.